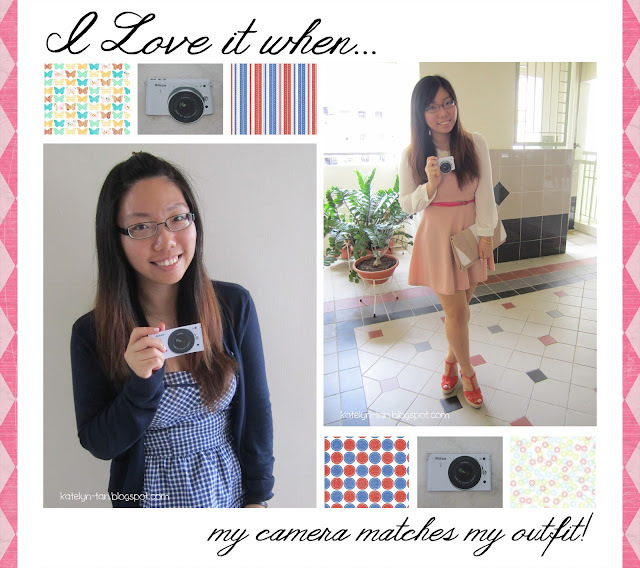 All of you should know that for bloggers, cameras are very very important! Sadly, I've been making lots of complains about my current compact camera. Used it for about 2 years plus and now I think it is soooo lousy! Initially I felt it was okay for non-blogging photos (bought it when I haven't started blogging). But when it comes to blogging, you will want better quality photos to look more professional right? Managed to take lots of not bad quality photos in USA because I was using a DSLR. Also, I don't think it matches any of my outfits! I want something that has the size of a compact, yet able to take decent photos. And at the same time, something that matches my outfits! In conclusion, a pretty semi-pro camera? Was eyeing a couple of cameras. I'm here to share one with you today! It comes in 6 pretty colors! Which color do you think suits you more? For me I witnessed a battle before deciding on one! Was contemplating between pink and white. Been using a pink camera for very long so I guess it is time for a change? -> Can get different types of lenses for different purposes! -> So many modes I LOVE IT! 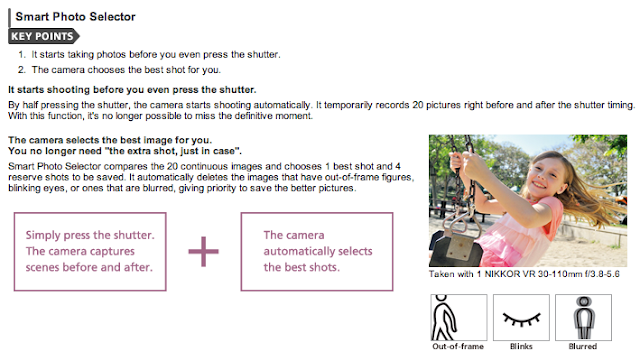 I am someone who buys camera in order to use these different shooting modes. Also the reason why I bought my previous camera (for the miniature mode when it was just released). -> No idea what this means. 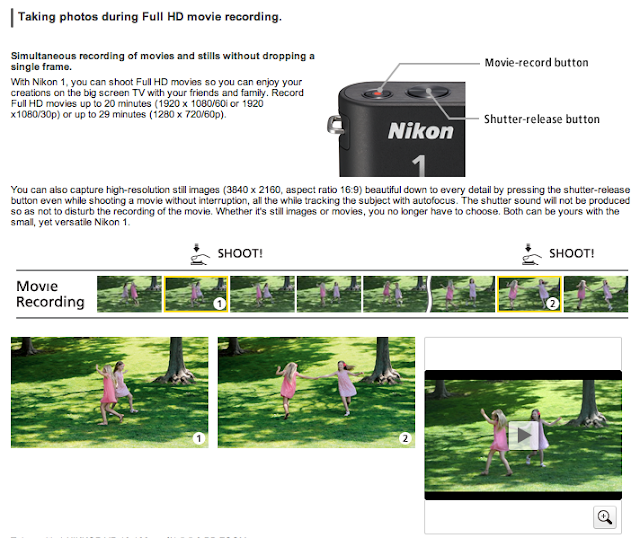 But I've seen their sample images here and they even have 1/1600 second shutter speeds! That is really fast! -> It's so small! YAY! No more bulky cameras! If I had this when I was in USA, I won't have to one hand hold my DSLR and another hand hold my phone to capture videos and photos and the same time! Also I won't have to retake so many photos! "So what Nikon J2 has good specs? DSLR give me specs that are as good too!" BUT DSLR IS NOT FASHIONABLE YOU KNOW! That bulky thing that I only use when I have no choice. It hurts the neck and the arm okay. The weight of DSLRs are horrible! These few days sis kept saying that her wrist hurts after using DSLR for one full day. 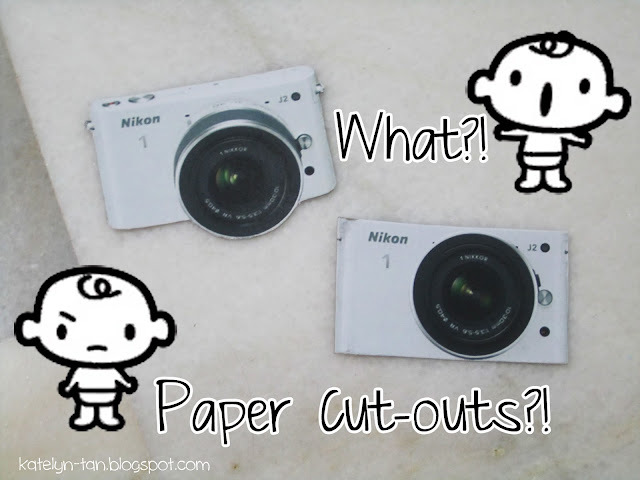 Don't believe Nikon 1 J2 can match your outfits very easily? 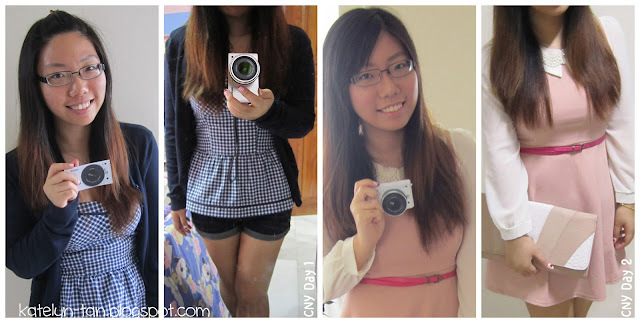 See how the white camera Nikon 1 J2 matches both my day 1 and day 2 outfits? 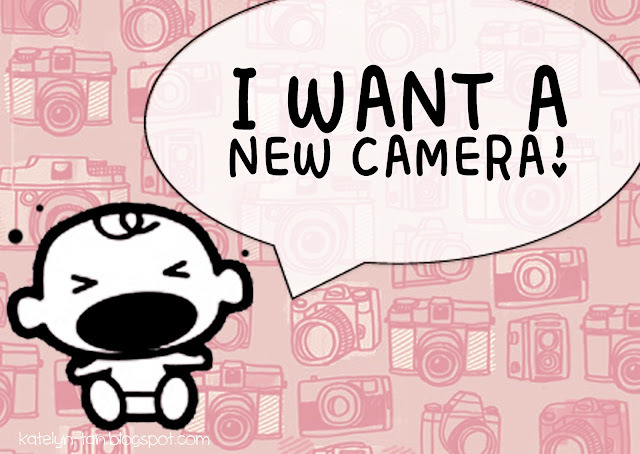 I really wish I have this camera!! A REAL NIKON 1 J2! Sadly I don't. So I put in the effort to print, paste on cardboard paper and slowly cut the photo! Just so I can use it in the photos, to show how well it can match my outfits. Btw, images were supposedly printed to be of the actual size of the camera! *cheers myself up* Cause I really wanted it be to of the actual size so you all can see how small it is. It really really is very small! I didn't even pick outfits that matches the camera. I just chose what I wanted to wear then take a photo with it. But they just match so well! Yay! 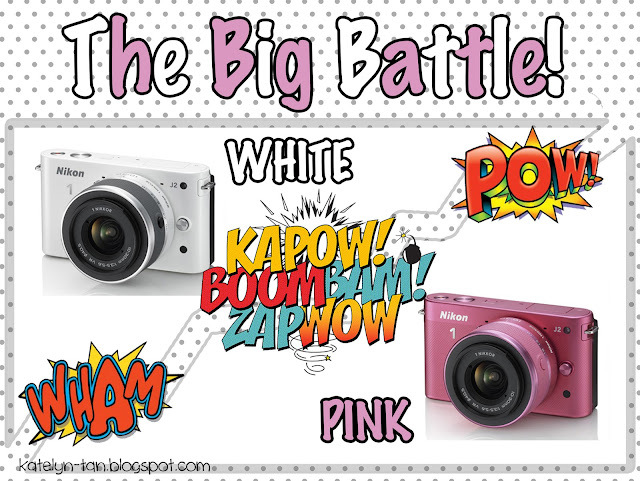 Reason why I love white color gadgets (though my favorite color is pink). Only 106.0 x 61.0 x 29.8 mm! You HAVE to agree with this. Not all semi-pro cameras are so pretty one okay. I mean who doesn't want a good camera that looks stylish, fashionable and does a great job?! 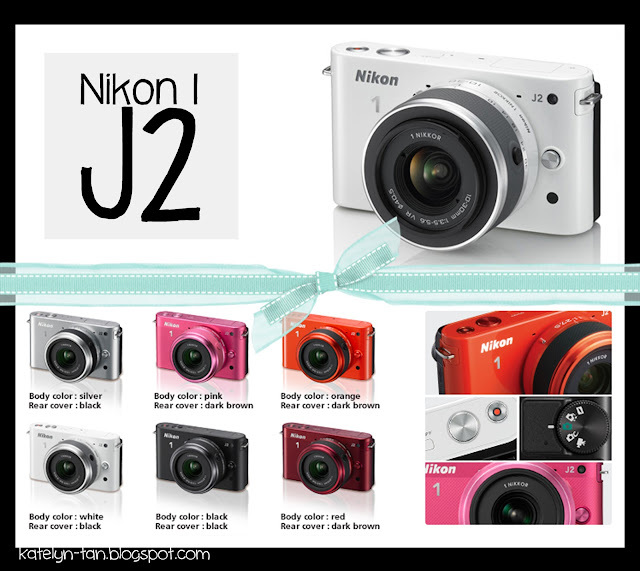 Time to look stylish and fashionable with Nikon 1 J2! Yay! Tip: IT Show is coming soon ;) Best time to buy your gadgets!